FREE worldwide postage on 2 sets or more! 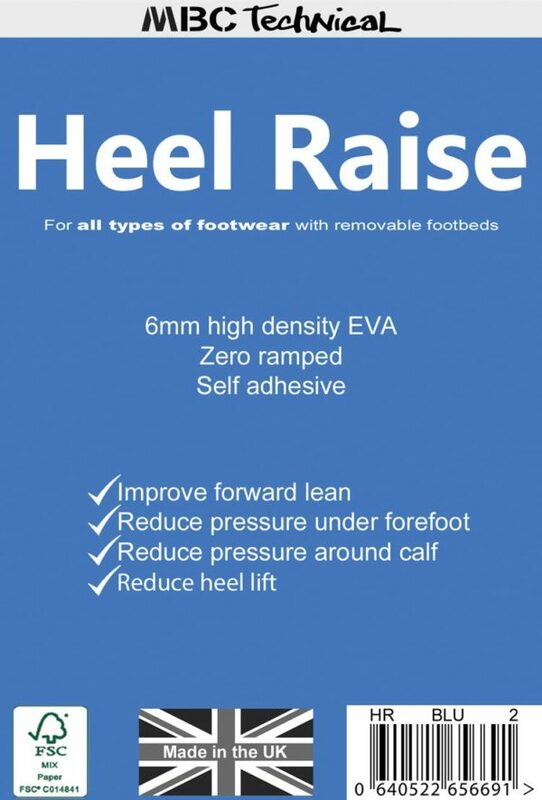 Contents: 4 x high density, self adhesive, heat mouldable, ‘Stop Heel Lift’ foam pads, for use in boots with removable liners. SHL™ Version2 is slightly thicker and harder than the original SHL™ therefore they grip harder and last longer! 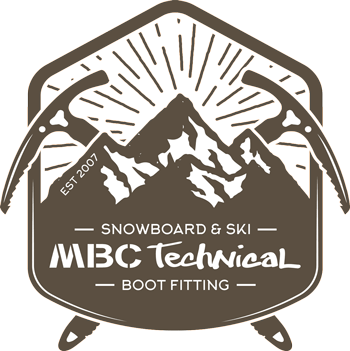 Ski and Snowboard: Buy these if your heels lift in your boots. SHL™ will bring back that heel hold like when they were new. All boots pack down eventually even the most expensive ones! SHL™ can be used with Volume Reducers and Heel Raises if required. 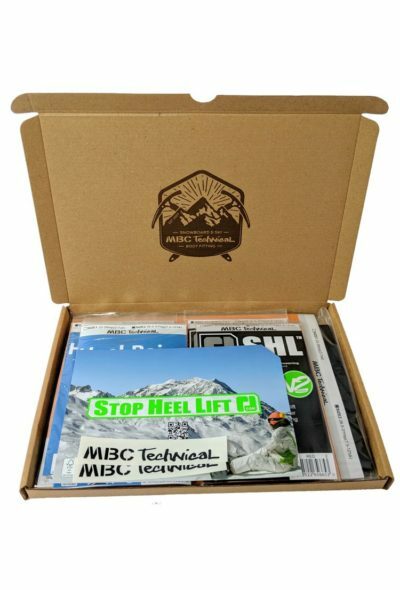 MBC Technical SHL™ can only be used in boots with removable liners. This includes most B3 rated Mountaineering boots. 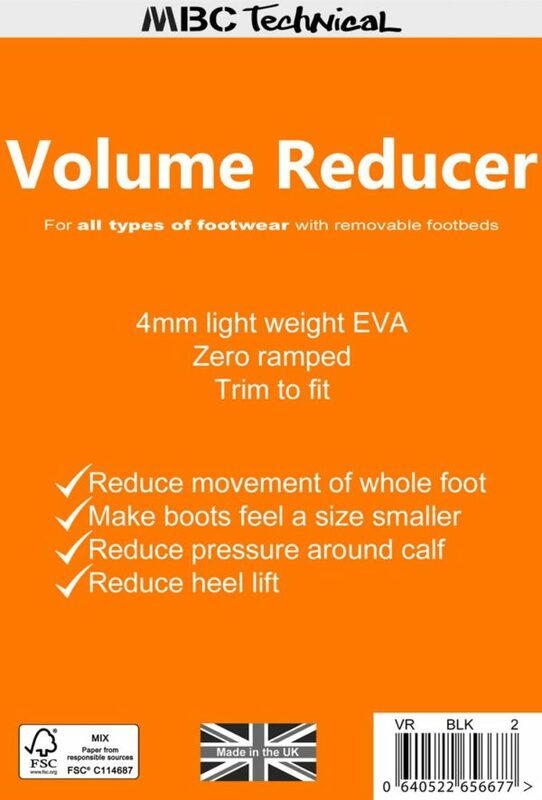 Please look at a Heel Raise and or Volume Reducers for boots without removable liners such as walking boots and wellingtons. Fitting Instructions: As hands and feet grow relative to each other, so you can fit your own pads using your fingers to ensure that they are positioned correctly. This method also takes into account that the inner ankle bone is higher than your outer ankle bone. The angle of the pads also helps to lock the heel in place. The inside pad should be placed 3 fingers up and the outer, 2 fingers up. The pads should be two fingers apart at the bottom and 3 fingers apart at the top. When replacing liners into boots, use forefingers and thumb to cover/hold the pads in place whilst pushing liners back. IMPORTANT: Every time liners are removed, care must be taken to ensure SHL™ do not move. It is also assumed that you have already been fitted by a professional boot fitter and SHL™ is simply there to bring back that heel hold. 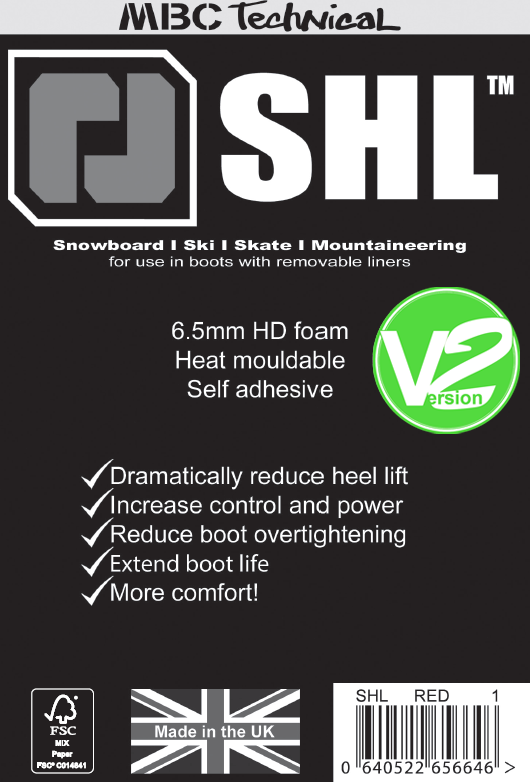 CLICK HERE for FAQ’s about SHL™ Stop Heel Lift Boot Inserts.